When you think about your home’s energy efficiency your thoughts probably go right to your windows and doors. Old windows and doors are one of the biggest energy bandits in any home or office building. Replacement windows are relatively inexpensive and can pay for themselves in a matter of only a few years depending on your energy usage. 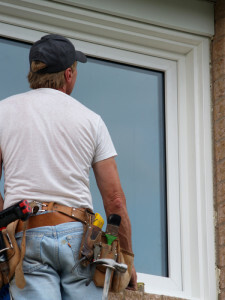 Energy efficient replacement windows also add to the resale value of your home. Let’s say you spend $10,000 on your mid-range replacement windows. When you sell, you can expect to recoup almost $9,000 of that cost. That’s a higher return rate (90 %!) than a bathroom addition or even an upscale kitchen remodel. Keep in mind that almost no home renovation recoups 100% or more of its original cost. Let our experienced team of window installation professionals improve the energy efficiency and appearance of your property.